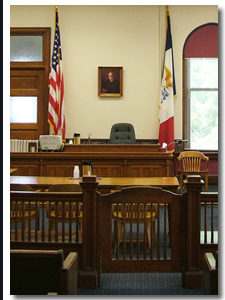 Contact an Iowa criminal defense lawyer representing clients in Clarion, Iowa today to schedule your initial consultation. Your case will not be treated differently if you are falsely accused. Do not assume that because you are innocent, you will not need the help of an attorney. You may actually need an attorney more. In some cases, a falsely accused person will plead guilty to a lesser offense. Often, this allows people to avoid risking conviction and a jail sentence by going to trial. Obviously, many innocent people refuse to handle their cases in this fashion. An experienced lawyer can help to explain your case and tell you the benefits and disadvantages of taking actions like these. Again, the best way to protect your rights and understand your situation is to seek the help of a defense attorney. The most important consideration is finding an attorney with expertise and experience in this area. Your reputation, your future, and possibly your life hang in the balance—you should get the best legal assistance you possibly can.